I would like to express my heartfelt condolences to his family, friends, and colleagues. He has made extraordinary contributions to the cause of US persons abroad and he will be sorely missed. *I too am deeply saddened by Andy’s passing–I knew him for most of my nearly 20 years living in Geneva, and I often disagreed vehemently with his politics (except the scandalous treatment of US expats by their own government), but found him to be thoroughly decent and honorable as a human being–he will indeed be sorely missed in the fight being wage against US expats, a fight he participated in from the very beginning. RIP. With my hat off – said particular hat being that of documentarian and sifter of perfidious chaos – I pay tribute to Sundberg for his compilation of The Evolution of U.S. Citizenship Law Since 1789. A good datasource is hard to find. Listing and linkage have been provided at USxCanada InfoShop in the Documents section ever since I became aware of this piece of his work. Thanks Jefferson for posting this. I got the news yesterday also and have been reflecting on his life’s meaning to me. While, I did not personally know Andy, I did have the privilege of quite a few email exchanges. Roger Conklin introduced me, and I became one of many who were the recipients of many of his emails on the state of U.S. Citizens abroad. 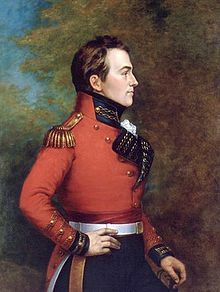 His commentary inspired me, and with his permission, I reproduced some of his missives on Isaac Brock. For those unfamiliar with the man, below were just a few of his contributions which will be sorely missed. In memorial, I have gone back to re-read these posts and all his emails which I have saved on my personal email account. I am reminded of a very good podcast on RadioLab which was named After Life. The 2nd segment, called Metamorphosis, really struck me. It was a concept that a person never really dies until sometime in the future when their name is spoken for the last time. By that measure, Andy will live on for many many years. His legacy, his memory, his name lives on here on the pages of Isaac Brock. Until the end of my days, I will speak his name! Thank you Andy, for your contributions that outlive you! WHAT IS THE REAL SIZE OF THE U.S. FEDERAL TAX CODE AND HOW HAS THIS CODE BEEN EVOLVING? Thanks for putting this information in a post and reacquainting us with the many contributions he has made — so much of Mr. Sundberg’s knowledge imparted to us! Sincere condolences to all family and friends (many of whom are here at this site). Yes, RIP. I first met Andy at a meeting of the “Tax Equity for Americans Abroad” (TEAA – the original “TEA” party) in 1976 in Paris, where I was living at the time. Andy was Chairman of Democrats Abroad and I was Executive Director of Republicans Abroad. After the meeting he asked me: “What did you think?” I replied: “I think they are only interesting in trying to decide what Congress would accept instead of taking a stand on what is right.” Andy replied, “I totally agree with you. If I were to start a new organization, would you join so it would be bi-partisan?” “I said ‘yes’”. Little did I know that it would turn into a life-long friendship of immense personal respect, admiration, and true love. A couple years after he started American Citizens Abroad, I lost my job in Paris, and he hired me at his consulting firm where he turned into a mentor on so many practical things that frankly became the foundation of my success in the past 30+ years. Like Ted above, we seldom agreed on macro-political issues. Indeed, our last internet exchange last Saturday was one of the regular epic disagreements we’ve had over the years. But also like Ted, I’ve never known anyone more decent, more positive, and more interested in actually wanting to solve practical problems for ordinary people, particularly overseas Americans. Most of you know Andy based on the tax issue. But he was so much more than just taxes. His wife, Chantal, is French, and they were living in Switzerland when they had their two girls. Suddenly there was the prospect of them becoming state-less. For all of you who are overseas Americans and can pass on your nationality to your childen you have Andy Sundberg to thank for changing US laws. For those of you that now enjoy the privilege of dual nationality, you, too, have Andy Sundberg to thank for that. It was Andy’s tireless actions along with his compatriots that finally took a case to the Supreme Court that ruled that having a second nationality does not ipso facto mean you should – or could – lose your American citizenship. This was not the case for decades. Ultimately, Andy’s greatest gifts were his incredible intelligence – he was valedictorian of his 1962 class of the Naval Academy and a Rhodes Scholar to Oxford; his true love for virtually everyone regardless of race, creed, and certainly political opinion (as I’m a true test); and his uncanny ability to corral people into his crusades to make the everyday lives of overseas Americans better. People didn’t even see him coming and suddenly they were hooked. I would quite literally follow Andy into hell because I knew he would have been going there for all the right reasons! I’ve lost a near and dear friend and mentor. I’m a better person and better citizen because of Andy Sundberg. I will miss him deeply…..
For all of you who are overseas Americans and can pass on your nationality to your childen you have Andy Sundberg to thank for changing US laws. in … totally mesmerizing (even for a hardened professional like Newman). was the type of stuff he did. all sorts of details about himself. Kept us all amused all the way to Geneva. *It was in 2003 when I first met Andy face to face. I had joined ACA soon after Andy and Patric created that organization, and we had corresponded over the years since it was ortganized. I did not learn until sume time later that Andy had attended the House Ways and Means Committee hearing in 1978 which was held as a result of the negative fall-out from the Tax Reform Act of 1976. Andy did not testify, but I believe have may have been on the staff of Congressman Bill Alexander at that time. Andy infited me to join the ACA group which, along with several other similar organizations had started a few years before an annual trek to Washington to meet with llegislators on Capitol hill and their staff members trying to make them aware of the unique problems faced by US citizens living abroad that citizens of other nations never faced. Citizenship-based taxation was one of the principal problems. Several years later Andy took the time on one of his trips to the US to visit my wife and I in our home in Miami, after which I invited him and we enjoyed a leisurely lunch together atour favorite Argentine-style steak restaurant. When it became time to pay the bill the waiter informed me that Andy had already paid without my knowing it. Andy was my inspiration in this tax battle. He was one of true giants I have had the privilige of meeting in my journey through life. The battle is far from being over, but Andy’s devoition and labor on behalf of this just cause merits the highest of merits. Thanks for these great tributes to this great man. His achievements will certainly survive him! To Calgary411 – I spoke with Andy two weeks ago, as always on a wide ranging list of things. You should know that nothing upset Andy more than how the IRS has waged a jihad against overseas Americans particularly after he spent more than 30 years working to get people their citizenship, ensure they could keep their citizenship, and doing everything in his power to get our government to recognize the inherent value and good will of American citizens abroad. Like so many of us, we never expected that the result would be our government accusing us of being un-patriotic, tax cheats, and sending the Shulman’s blood hounds after us as a result. I have a God-son in Britain who was born in New York when his parents were stationed there. I’ve had to advice him to give up his passport because of all of the consequences that now fall on him. That is the most painful thing I’ve ever had to do. Andy was beside himself about these things. Among all of the other things that Andy was, he was an officer, a gentleman, and a true American patriot! He was fond of saying to audiences – American and international – that USA stood not only for the “United States of America” but also for the “Universal Spirit of America”. He was the embodiment of both meanings in all their contexts. Thanks for your footnote. I would have thought nothing less. I can only imagine the pain and suffering for Mr. Sundberg in seeing the unintended consequences of his hard work. His integrity shines through. We know the demons in this story. I am sorry that you had to advise your godson to give up his US passport — heart-wrenching for you as it is for all of us dealing with this within our individual families. May we all get to the end of this nightmare as unscathed as possible. Our support for one another is invaluable. Again, my condolences to you, to Roger Conklin, to InTheAlps and all of the many others who were fortunate to call him their friend and colleague; as well as those who called him husband, father, brother, uncle, cousin, person working for US expats. Take special care, all of you. I contacted Mr. Sundberg a few months ago at a time when I was really in despair over all the issues facing Americans abroad today. He wrote back and his note was encouraging and he gave me his phone number and told me to call anytime. I decided to wait for the end of my chemo to do so. I really REALLY regret that I didn’t call. Perhaps I’ll be able to look him up one of these days on the other side. I will however make a donation today to ACA in his name. *Like so many others around the world, my life was touched by Andy decades ago and forever changed. He was brilliant and passionate about so many different subjects, and also down to earth and just plain funny. He truly collected people of all backgrounds around him and got them all to head in one direction with one goal. He was an amazing man and I will miss him terribly. At the same time, even with a heavy heart, I can only imagine that the discussions in heaven have suddenly become a lot more interesting with Andy there !!! The overseas American community has lost a great friend and champion, the kind of man we encounter only rarely in our lives. I would deeply appreciate contact info for Andy’s wife. Or, kindly pass along my email address, kmt769@gmail.com Thanks! Thanks for this announcement, Innocente. To better appreciate Roger Conklin and his work on behalf of all of us, please read his submission to the US Ways and Means Committee: http://waysandmeans.house.gov/uploadedfiles/conklin_wg_comments.pdf. I remember reading many of Roger’s comments here at IBS, and they were part of the whole here that got me through some of the darkest days and nights after my OMG moment/s. I am glad that he is being honoured for his stellar contributions to bring attention to and better the plight of US citizens living outside the US. Thank you very much Roger for all the insight and commentary you provided here to those of us who had never heard of ACA and AARO or any of these issues before. It is with deep sadness that I announce the passing of another true gentleman and cheerleader and supporter of overseas Americans. Roger Conklin passed away on Tuesday, 25th of November. Words are difficult to say the unbridled enthusiasm that Roger has had over almost 40 years joining Andy Sundberg and other members of ACA. You all have read his seemingly endless stream of letters to anyone and everyone pounding away at the issue of taxation of overseas Americans. I met Roger the first time in 2003 for the Overseas American week in Washington, DC. Roger, Andy, John Serrato and I all went and visited the WWII Memorial before it was officially opened. It was a bonding moment I will never forget for all of us. I spoke with Roger last week and it seemed clear he was weakening, and I was glad we had a wonderful conversation. Some people you just know is in God’s presence, and that is where Roger is now. That’s such a shock to hear about Roger. Although few here at Brock would have actually had the honour to meet him as you did, we all felt like we knew him. He was such a wonderful advocate for us. We will always be grateful for every word he wrote, every word he spoke, to promote the cause of justice for every person beleaguered by the U.S. tax system. Rest in peace, Roger, and thank you! Beautifully written, EmBee. Roger was a presence, and this is sad news.